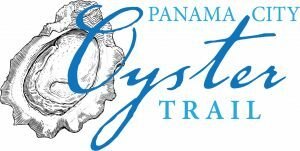 Download the Destination Panama City Oyster Trail brochure and map. Oysters hold back fierce waves. Oyster reefs provide an effective barrier to strong waves absorbing as much as 76 to 93 percent of wave energy, reducing erosion and preventing flooding during storms. Oysters are the canary of the ocean. One oyster filters 50 gallons of water each day. A healthy one-acre reef of oysters filters 24 million gallons of water each day, which is enough water to fill 36 Olympic sized swimming pools!